If you’re hankering for some pancakes after the O.W.L.S. program about maple syruping at the Otter Creek Nature Center in Toledo on Valentines Day, we’ve got a couple of opportunities in Tama County to satisfy your appetite. The Gladbrook Legion will be hosting a pancake breakfast at the Memorial Building, at 421 Johnston Street in Gladbrook, Iowa, on Sunday, February 18, 2018 from 7:00 a.m. to 12:30 p.m. They will be serving pancakes, biscuits & gravy, scrambled eggs, sausage, and French toast. All proceeds will go to student scholarships. 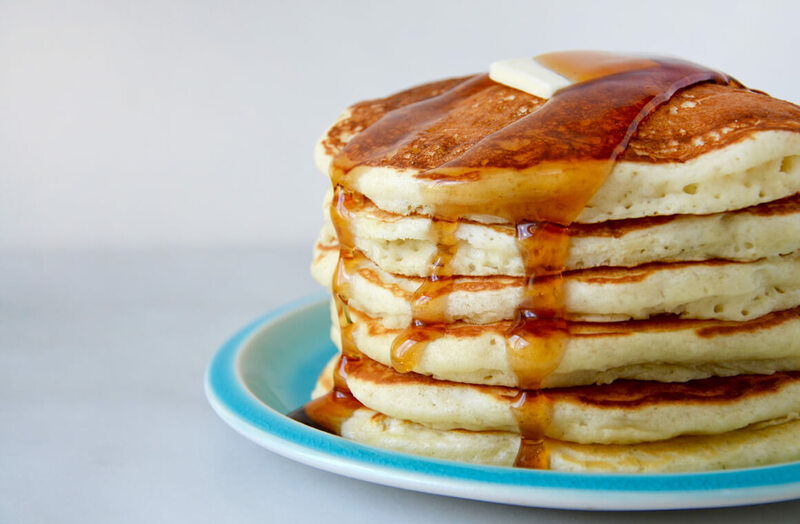 Also on February 18, Clutier will be hosting a pancake breakfast at the American Legion, 281 – 4th Street, Clutier, Iowa. They will be serving pancakes, eggs, sausage, milk, juice, and coffee. It is a free will offering. Clutier, Iowa will be hosting its annual Bohemian Plum Festival on Friday & Saturday, August 4 & 5, 2017. 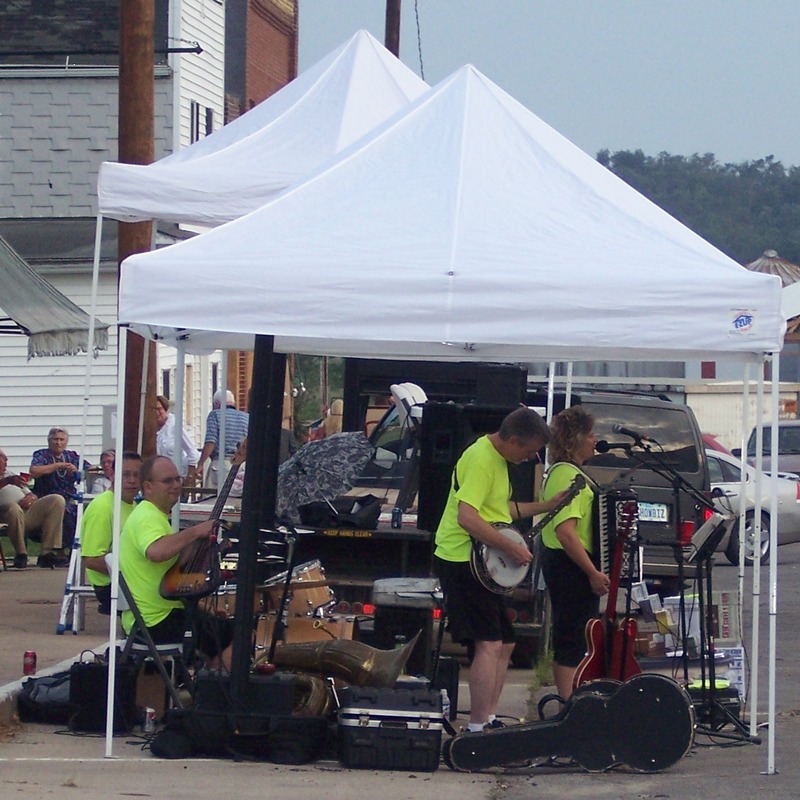 Barefoot Becky will be performing at 7:00 p.m. on Friday and there will be food & Czech bakery for sale starting at 5:00 p.m. A flea market will be open Friday from 12:00 p.m. to 7:00 p.m. as well. Saturday’s events include a 5k run and walk, flea market, silent auction featuring vintage collectibles, and a library auction. The grand parade will be at 11:00 a.m. Saturday and there will be lots of kids activities. 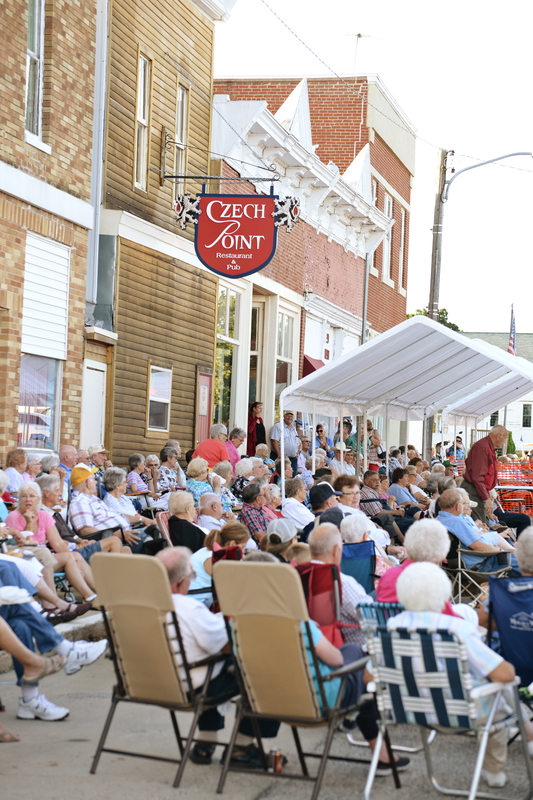 The Clutier firemen will be having a hog roast from 5-7 pm and Richie Lee will be performing from 6:30 p.m. to 7:30 p.m. A street cruise will begin at 7:30 p.m. A special event honoring the diamond jubilee of the Charging Czechs will begin at 1:30 p.m. The Tama County Cattlemen will be grilling and there will also be more Czech bakery, Indian Tacos, popcorn, and ice cream for sale. While you’re in the area, stop by the Double D Rodeo which will also be on August 4 & 5, 2017, in rural Toledo. Lovers of old books and good stories are invited to a Rare Book Showcase where six special and rare books from around the Iowa Valley region will be shared. The set of books is diverse, with the Tama County contribution being Arabesky, a well known book to many Czech immigrants who came to Iowa in the 1890s. It is housed at the ZCBJ Lodge Hall & Museum in Clutier, Iowa. As part of the showcase presentations, an excerpt from each feature book will be read. The audience will enjoy hearing German spoken aloud by Amana Heritage Museum Director Jon Childers as he shares ecstatic speech from the 1719 Wohl und Weh and Czech spoken aloud by Jenda Váňa in a reading of Arabesky from the library at Clutier’s ZCBJ Lodge & Museum. Julie Piper, a 1982 graduate of the Iowa Braille and Sight Saving School, will read aloud from Gospel of Matthew and Mark, a braille version of the bible used in chapel services when Mary Ingalls was a student at the school. Lois Kovar, great niece of Mildred Benson, will share her early edition of The Secret of the Old Clock as well as personal memories of Mildred who practically no one has heard of but whose pen name, Carolyn Keene, is quickly recognized. The Benjamin Franklin 1734 edition of Constitutions of the Freemasons guided the establishment of Masonic lodges in America. A children’s story titled Peter and Polly was inspired by Grinnell native Cornelia Clarke’s photographs of her pet cats dressed in clothing. 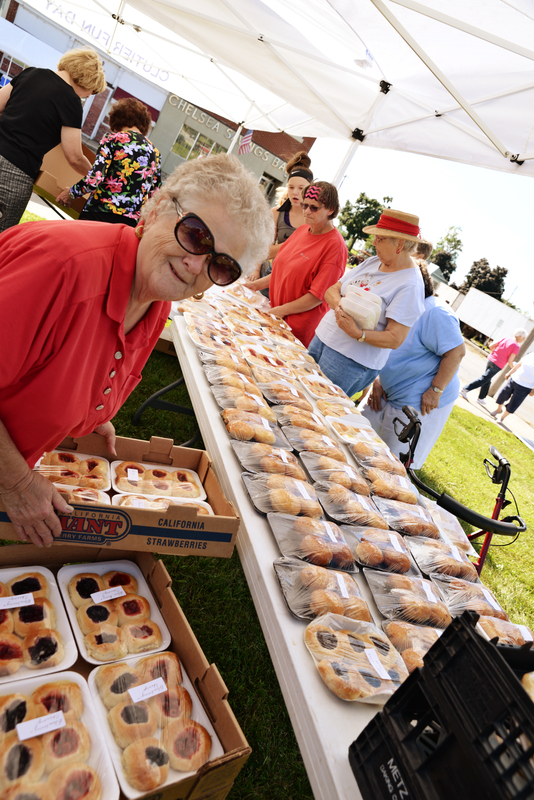 This event is possible through the efforts of the recently formed Iowa Valley Cultural Council whose volunteer members span a six-county area. The council is interested in sharing the art, history, and culture of its region (Linn, Johnson, Benton, Iowa, Tama, Poweshiek Counties) in new, engaging, and collaborative ways. Events like this book showcase are meant to connect new audiences to vibrant stories. Support is from Iowa Valley RC&D as well as a Partnership Grant from the Iowa Arts Council/Iowa Department of Cultural Affairs and a USDA Rural Community Development Initiative grant. The Rare Book Showcase will be Thursday, August 10, 2017, from 3-5 pm in the Cedar Rapids Public Library’s Whipple Auditorium. This event is free and open to the public. Questions about the event can be directed to Iowa Valley RC&D Director Jessica Rilling at 319-622-3264. Clutier will be hosting another summer band concert this Saturday, July 8, 2017. 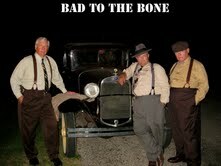 Mollie B, Jim Busta, and Karl will be performing live on Main Street from 7-9 pm. Pork loin sandwiches, hamburgers, hot dogs, chips & drinks will be served beginning at 5:00 p.m. And as always, there will be kolaches and other Czech bakery for sale. For more information, call 319-442-7613 or 319-479-2518. 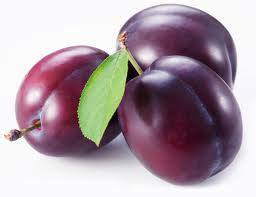 Clutier will be having its annual Bohemian Plum Festival this Friday and Saturday, July 31, 2015 and August 1, 2015. Barefoot Becky will be performing live at 7:00 p.m. on Friday. Saturday is packed with fun events, including a 5k run and walk, a flea market, kiddie parade, grand parade, library auction, street cruise, and kids activities. Storm Seymour and Starwalker will be performing at 12:00 p.m.; and Richie Lee will be performing at 6:30 p.m. There will be plenty of Czech bakery to buy, as well as funnel cakes and kettle corn, and Indian Tacos. The Tama County Cattlemen will be grilling as well. For more details, go to their Facebook page, “Bohemian Plum Festival Clutier, Iowa”. 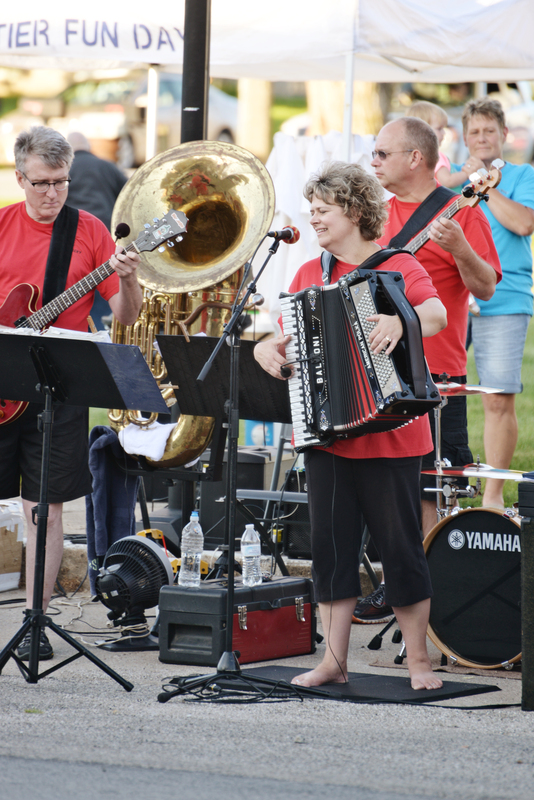 The summer band entertainment is well underway in Tama County with live bands performing weekly at a number of locations throughout the county. Check the contact information below for current events. 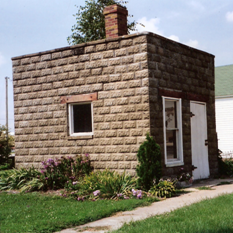 Preserves the Czech heritage of early settlers as well as the history of the town. Includes country school and two-cell jail. Several prominent New York actors and filmmakers have teamed up with local Iowans to make the independent film, “A Place for Heroes”, in Traer, Clutier, Toledo, and Tama County. LaCrosse, Wisconsin area writer/director Scott Thompson teamed up with Staten Island, New York producer Sam Borowski to make this World War II era drama set in Iowa. The film stars Paul Sorvino (Goodfellas, 1990), Sally Kellerman (M*A*S*H, 1970), and Daniel Roebuck (The Fugitive, 1993), as well as up-and-coming actors Samatha Tuffarelli (Sesame Street), Bill Sorvino (Quantum Heaven, 2008), and Ben Easter (Pearl Harbor, 2001). Dozens of local veterans served as extras in the film. The ZCBJ Hall in Clutier got the attention of Thompson when he did an independent film in Clutier, “Hometown”. The Hall has hardly changed since the 1940s and still contains some meomorabilia from the time period. The old-fashioned streets of Clutier offer a unique backdrop for the movie, which includes flashbacks to the 1940s. Folks from Clutier, Traer, the Meskwaki Settlement, and Tama County provided a major portion of the $200,000+ budget. “A Place for Heroes” is set to be released in 2013, and will debut at several film festivals nationwide. The movie will then hit the big screens at selected theaters.